Zulily has a great Book Boutique sale going on right now! 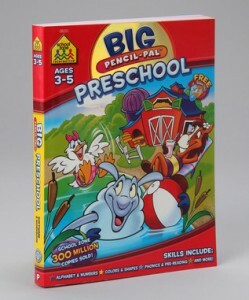 They have a fun selection of educational workbooks, CD-ROMs and DVDs to help your child learn. This deal is no longer available on the main page, but you can easily find it under the last day tab at the top. Prices range from $7.99-$9.99. Even after shipping of $5.99, the prices are less than what the items sell for on Amazon. The sale ends tomorrow 4/24 at 9 am eastern time.